This hooded soft shell stands up to the elements and stands out with texture and bar tack details. 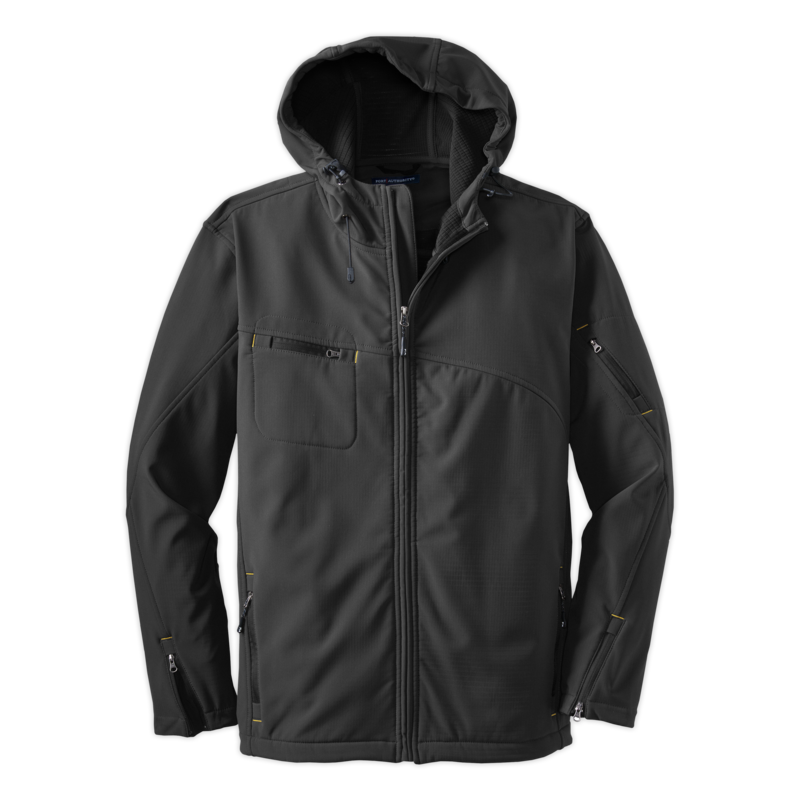 Highly breathable and soft, this water resistant jacket is just right for the workday or the weekend. A hood and zippered sleeve vents add function and up-to-the-minute appeal.